Informed by a wide range of biology and chemistry courses at Kyoto University, including a chemistry-heavy year abroad at the University of Toronto, Isogai’s undergraduate thesis tackled the molecular machinery responsible for chloroplast maturation. Hoping to continue his work on chloroplasts and the biochemistry of photosynthesis, he began his doctorate in plant biology at University of California: Berkeley. However, his would-be P.I., Wilhelm Gruissem, soon moved to Switzerland, necessitating that Isogai select a new lab and a new plan of study. Happily, this stroke of fate landed him in Robert Tjian’s lab where he found a life-long mentor, freedom to explore, and an ideal combination of biochemistry and cell biology working on transcription in eukaryotic cells. 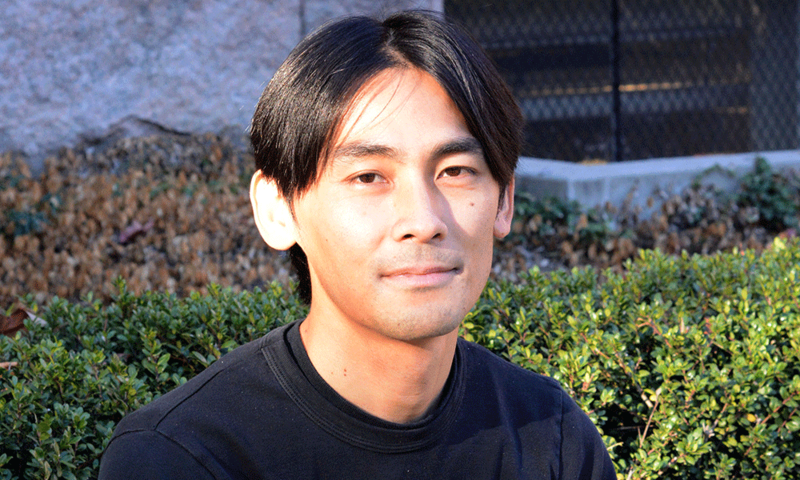 In Tjian’s lab, Isogai grappled with several persistent problems of gene regulation. Because genes are embedded within the genome’s sea of ATGCs, researchers had been stumped as to how cellular machinery recognizes precisely where each gene starts and ends and how it does so in a spatiotemporally regulated fashion. To resolve this issue, Isogai focused on a class of transcription factors known as core promoter recognition factors. One ambitious and fruitful experiment determined the binding sites of these factors genome-wide, uncovering a cellular logic of gene recognition. Pioneering “single-cell biochemistry,” Isogai also developed a novel imaging-based system that visualizes the detailed steps of transcriptional activation as they occur within the nucleus of a cell. Isogai adheres to a chemical, “reductionist” philosophy of science. He strives to understand biological processes by breaking them down into fundamental parts, motivated by the elegant idea that one can understand extremely complex processes at such a basic level. For his postdoc, Isogai hoped to apply this biochemical approach to neuroscience, to test his theory at an organismal level by tackling the complex networks of cells that regulate cognitive processes. A strong nudge from his “academic grandfather” steered him toward Catherine Dulac’s lab. Rich Losick—Bob Tjian’s doctoral advisor, Isogai’s “graduate advisor’s graduate advisor,” and therefore “grandfather” on the intellectual family tree—advised, “If you are thinking of a postdoc in neuroscience you should at least consider Catherine Dulac.” Her work on pheromone sensing coincided neatly with Isogai’s past experience in chemical ecology, so he applied to her lab. Ten steps ahead of both Dulac and her prospective postdoc, Losick repeatedly asked, “Well, have you accepted the position yet?” before Isogai had even completed his interviews at MCB. In due time the postdoc position was offered and accepted, fulfilling Losick’s grand-paternal prophesy. Taking nothing for granted, Isogai considers the wealth of mentorship he has enjoyed at MCB a luxury. The collaborative atmosphere both within the Dulac lab and among labs in the department is “a unique advantage of this particular environment,” he observes; “In our corridor, for instance, there are three P.I.s: Catherine, Nao [Uchida], and Venki [Murthy], and we function almost like one lab.” In particular, Dulac’s unwavering support has allowed him the time he needed to perform the painstaking trial-and-error essential to ground-breaking science; “I have been very fortunate to have incredibly patient mentors who allowed me to explore my own ideas and fail a lot,” says Isogai, “If you don’t have enough time to fail, there is little chance you can innovate,” and your odds of learning something incredible diminish accordingly. Accordingly, this year Isogai joins the faculty of a brand new interdisciplinary institute, the Sainsbury Wellcome Centre for Neural Circuits and Behaviour (SWC), an independent affiliate of the University College London. Numerous European and U.S. institutions vied for his singular perspective, but the SWC offered the unique opportunity to get in on the ground floor (almost literally—the building is still under construction) of an exciting, collaborative experiment born out of a historic period of neurobiological research. Ultimately, Isogai’s family had the final say in the decision to set up lab in London. His wife, also a PhD, is a science journalist for a U.K.-based publication and they look forward to raising their children (3 and 6) in an accessible, urban environment comparable to his hometown, Tokyo. He hopes his interdisciplinary expertise, bolstered by the SWC’s emphasis on innovation, will accelerate our understanding of the neural circuits underlying social behavior. In the meantime, perhaps, his own kids can visit their father’s lab, where he and his graduate students may introduce them, in turn, to the enticing sights and scents of science.